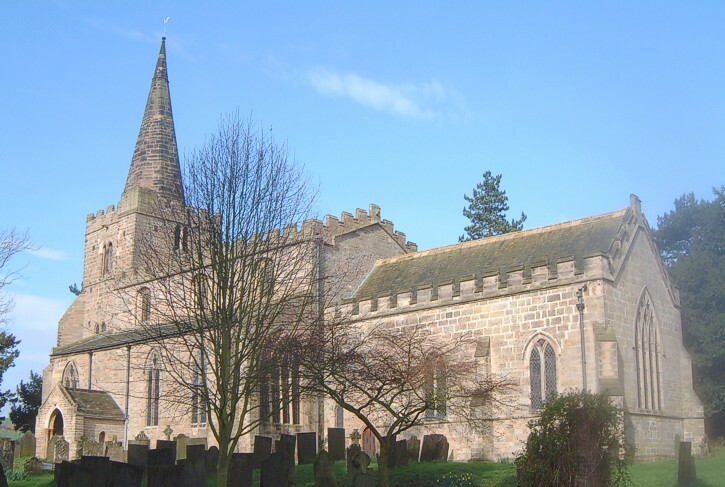 The earliest record of the bells of St Mary’s Church is of 1552 when three great bells, two handbells and a sacrying bell appear in the inventory of church goods. In 1740 the Cole MS records five bells, and an inventory of 1764 notes that there were six frames. The tower now contains a ring of six bells, three of these are of the 1614 castings. Th next bell is from 1676 and the fifth (the No. 2) dates from 1705. The newest (the treble) was hung in 1974. As a result of an Archdeacon’s Visitation which ordered “...that bells be new hung if necessary...” the bell frame was renewed and is dated 1735. It was restored and rebuilt in 1934. Following the installation of the last bell in 1974 the others were re-hung with ball bearings in the next two years. The bell recast in 1907 was noted by Phillimore: “an immense crack extends the whole way up it. It bears the Rebus Shield and Rose ... ascribed to Richard Mellours ...” There are letters - D [?] A D A N A - around the haunch for which a rubbing has been found at the Society of antiquaries. The lettering is that used by John Potter of York. As for the No.6 bell, but with lettering like that used by William Oldfield of York. The work of George (I) Oldfield, almost at the end of his career. This is by William Noone; it is a recast of a bell of 1676. It is unusual in this period for the recasting to be noted. The bells are now rung from the first floor.